Few find the community of Hemphill, county seat of Sabine County, by accident unless they are lost. One generally has a purpose for visiting this old town. A good one might be finding a place to fish or to retire since the completion of Toledo Bend Reservoir provided the area with a fine 'fishing hole' not far away. Milam served as the seat of local government in Sabine County until 1858, when voters decided to move the courthouse to a more central location. E.P. Beddoe drew the assignment of finding the right spot and platting a town there. They named it Hemphill in honor of John Hemphill, former chief justice of the Supreme Court of the Republic of Texas and of the State of Texas. Hemphill assumed its role as a government center in 1859, and Michael Watson became postmaster there the same year. Despite its promising beginning as a central location of the Sabine County, the county itself lay in the grip of dense forest. With the Sabine River on one side and trees all around, Hemphill was not benefited by the Houston, East and West Texas Railway, the first constructed in East Texas in 1882-1883. In 1884, Hemphill had a population of only 350 souls, few retail businesses, a cotton gin, and a lumber mill. Population declined to less than 300 in 1900, rose to 400 by World War I, and reached perhaps 1,500 or so by the 1920s before declining again during the Depression. In 1990 the official count stood at 1,182 residents. A significant portion of the present population resulted from the economic stimulation of Toledo Bend Reservoir. I have some fond memories of Hemphill. On many weekends back in the 1960s, we drove from Nacogdoches to the southern part of Sabine County to help my father-in-law, Bert Barrett, clear brush from a lakeside subdivision he and his partners were developing. Our route followed Highway 21 to Milam, then south, through Hemphill, to the subdivision. 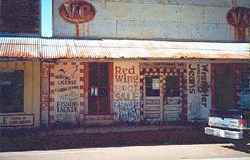 We rarely stopped, unless it was at the old Peddy's Restaurant, for a cup of coffee or a meal. On one trip my wife wanted to stop in town for a purchase, and my then four-year-old son and I strolled around the square while she shopped. 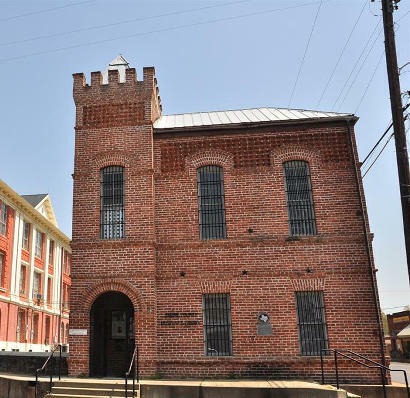 We received a guided tour of the old jail, just then unoccupied, that shares the square with the seat of justice in Sabine County. I had never seen the inside of a jail before, and determined that this would be my last visit. So far, that has turned out to be the case. In 1858, Sabine County organized the community of Hemphill, named for Texas Supreme Court Justice John Hemphill (1803-1862). 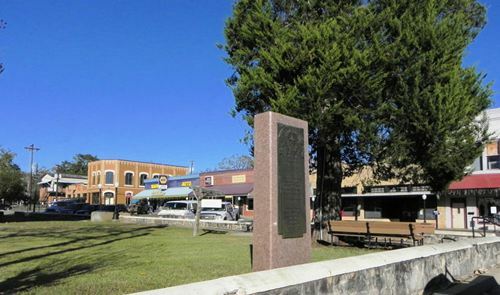 An election determined that the county seat would be moved from Milam to this new settlement in the center of Sabine County. Earl Percy Beddoe surveyed and laid out the town site on an 80-acre tract owned by Richard Fendall Slaughter and his wife, Anna (Holman). A post office was established in Hemphill in 1859. 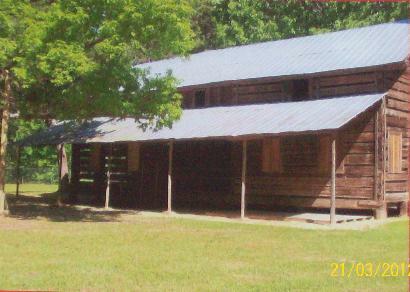 Builders constructed the first courthouse in Hemphill shortly after the community抯 establishment; it was replaced in 1864 by another building, which burned down in 1875. Builder completed another courthouse in 1877, which was eventually replaced by the current structure in 1906. Other significant early institutions included Sabine Valley University, established in 1879, and First National Bank, which opened in 1907 and closed during the Great Depression. Hemphill Common School District No. 1 organized in the late 1800s, and by 1890 listed three trustees, two teachers and eighty-eight students. The population of Hemphill increased steadily between 1850 and 1930, due in great part to the presence of the Knox Sawmill in the western part of town. Temple Lumber Company later bought the mill, which burned in 1937. Combined with post-World War II rural-to-urban migration trends and the lack of major thoroughfares in the town, the closing of the sawmill promoted a decline in the community抯 population. 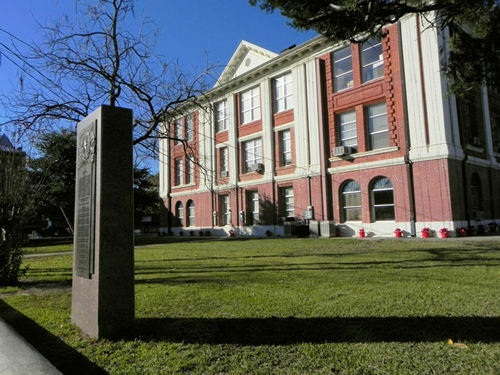 Today, Hemphill remains the seat of the Sabine County government, and is home to several national, state and local offices, remaining a community of vital importance in the state of Texas. November 22 will mark the 85th anniversary of an East Texas murder that created a still-lingering mystery and put a timber baroness in a pauper抯 grave. Today, more than a few Hemphill townspeople are convinced Sallie's prayers 95 years ago have protected her house from the wrecker's ball and will lead to its eventual restoration. My favorite East Texans are the senior citizens whose agile memories have helped me write columns such as this. Leon Herman Adickes, 88, who was high on my list, died recently at Hemphill -- a place where he helped make history by simply doing things to make his community a better place. Most of what he did were acts like making sure Hemphill had a doctor, a hospital, a nursing home and a Lions Club. When Audrey Dean Leighton passed away in mid-2005, East Texas lost one of its most entertaining and colorful characters.